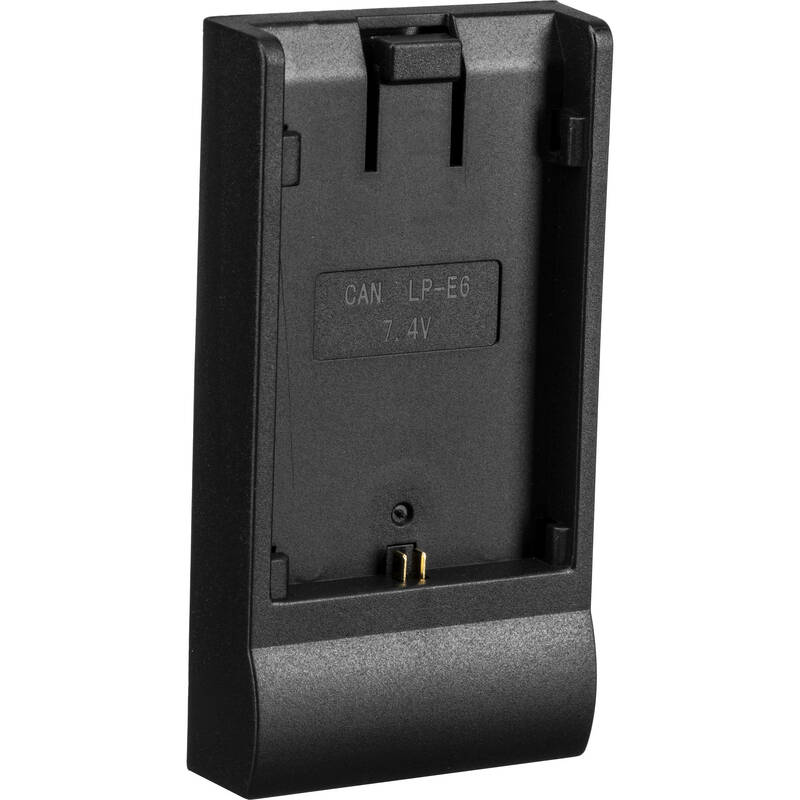 The ikan BP5 Canon LP-E6 Battery Plate for ikan Monitors is compatible with ikan VK7, VK7i, VL5, D5, D5w, D7, D7w, and VH8 monitors, and it supports Canon LP-E6 batteries. Box Dimensions (LxWxH) 5.25 x 2.55 x 1.55"
BP5 Canon LP-E6 Battery Plate for ikan Monitors is rated 4.0 out of 5 by 3. Rated 5 out of 5 by leefie from Best batt sled combo for this monitor This is the best battery sled combo I have used for this monitor (vh-8) because the LP-E6 batteries are widely available * for very cheap prices and the batter is powerful enough to give a decent run time for the monitor but light enough not to unbalance your rig, which is a big problem i find with the equivalent sony battery sled. Rated 5 out of 5 by bovinefreemartin from Clicks right in! I originally purchased my D5W with the Sony L Series Plate as I thought had many old batteries laying around. Most of them were too old to keep a charge, so instead of buying new batteries, I decided to use the LP-E6 batteries I use for my 60D. They last a couple of hours and keep the weight down on my rig. Rated 2 out of 5 by Reel Contact from Not What I Wanted This was a mistake. I ordered this for the back of an LED light but no hole for a screw in the center. Too inexpensive to return and get much back. Will this work for the Ikan VH7i 7 monitor? The BP5-E6 will certainly work for the VH7i.